Hosting.co.uk Now Accepts over 50+ Digital Currencies as Payment – Zonat S.A.
Hosting.co.uk one of UK’s leading Website Hosting Provider, expands its payment options to accept over 50 different digital currencies. London, UK — (ReleaseWire) — 12/21/2018 —Hosting.co.uk, one of UK’s leading Website Hosting Provider, a top seller of web hosting solutions, today reported that it will expand its payment options to accept over 50 different digital currencies including Bitcoin, Ethereum, Litecoin among others. Acceptance of these virtual payment methods went into effect on December 14, 2018. Bitcoins give some distinct advantages to individuals and companies when compared to traditional means of payments. The product to mine and utilise bitcoins is free and open source, so there is no cost to sign up and no inherent exchange charges. Along these lines, a business can avoid credit card transaction fees, wire expenses, and worldwide check handling charges. Moreover, there’s no need to convert bitcoins and many other digital coins to and from other currencies, so shoppers are exempt from standard exchange charges. Virtual money assures that merchants have a reliable way of making safe and anonymous transactions from anywhere in the world with encrypted technology they trust and use daily. Hosting.co.uk is pleased with our nearly 10 years history in getting the most recent innovations and plans to our customers around the globe. Processing a wide variety of digital currencies like Ethereum, Lightcoin, Bitcoin Cash and others is our most recent innovation in giving our clients benchmark solutions and services to cater to evolving market standards. A Bitcoin is a crypto-currency/ digital currency that first came about in 2008. The virtual currency was the first of its kind and paved the way for new and existing virtual cash. Bitcoins are still a favourite amongst early collectors as well as informed organisations. “Many Hosting.co.uk clients share our trust in bitcoins and other crypto-currencies. This payment method is not new to us and we are accustomed to dealing with transactions of this nature,” affirmed Schiwek. While the bitcoin currency gained fame rather quickly, the group behind the open source software that manufactures bitcoins, remains a puzzle. An entity known only by the pseudonym Nakamoto is allegedly the mastermind behind the mind-boggling mathematical calculations required to mine coins. The more miners, the greater the difficulty to mine these sought-after coins. Bitcoin trades are like the stock trades, you can get reports on bitcoin rates minute-to-minute. 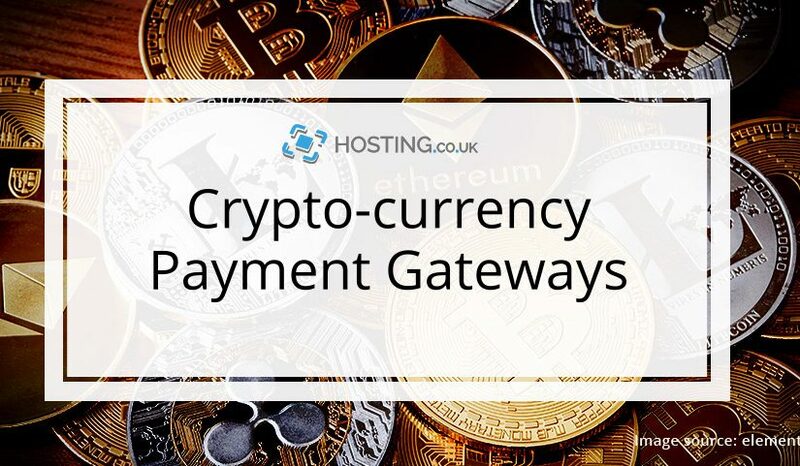 Hosting.co.uk processes bitcoin payments through CoinGate, a payment gateway that functions like PayPal that is tied to the cryptocurrency trade. Payments are handled directly through this entity with the goal of maintaining the autonomy of each client by only disclosing the required transaction key and what is needed to for a transaction. Hosting.co.uk hosting is a leading brand which operates under Zonat S.A., a pioneer in the Technology and Web Hosting business which owns a conglomerate of prestigious technology-based companies. Hosting.co.uk specialises in hosting services like Cloud-based Hosting, WordPress Hosting, Joomla! Hosting, eCommerce Hosting, etc. Hosting.co.uk is based in the United Kingdom and has servers in Mainland UK, Germany, the USA and other parts of the world. Visit Hosting.co.uk for more data on bitcoins and their history and use.